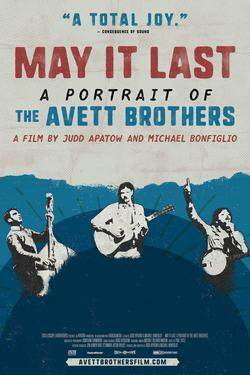 This documentary provides an intimate portrait of the acclaimed North Carolina band The Avett Brothers. It charts their decade-and-a half rise, while chronicling their present-day collaboration with famed producer Rick Rubin on the multi-Grammy-nominated album "True Sadness." With the recording process as a backdrop, the film depicts a lifelong bond and unique creative partnership, as band members undergo marriage, divorce, parenthood, illness and the challenges of the music business. Directors and longtime fans Judd Apatow and Michael Bonfiglio filmed the band with extraordinary access over the course of over two years.